3. The continued drop in energy prices is a stimuluative writ large but poses challenges for oil producers and the leveraged eco-system that has been built on the premise of high oil prices forever. 4. Rather than a race to the bottom, as many saw it previously, several emerging market countries are resisting further depreciation of their currencies. 1. De-synchronized business cycle: This is the meaning of divergence. The US policy response to the financial crisis, and the flexibility of the US institutions bolsters the world's largest economy. The US economy expanded more in Q3 (5% annualized) than the euro zone (less than 1%) and Japan (less than 0.5%) in 2014 put together. China, the world's second largest economy, is slowing. While the eurozone, Japan, and China provide more stimulus for their economies, the US is expected to lift rates around the middle of the year. This anticipation underpins the US dollar. Given the importance of exchange rates (fx variability can be 2/3 of the return on international fixed income portfolios and 1/3 of the return of international equity portfolios), the prospects of a stronger dollar also makes US assets more attractive for non-dollar-based investors. Interest rate differentials also are moving in the US direction. Even though the above trend growth in the US is not sustainable, employment and consumption can still expand. The US reports the December jobs data at the end of the week and another 200k+ report is expected. Although it does not match November 331k increase, it is still healthy, and the internals are also improving. Auto sales will be interesting. The decline in the price of gasoline, easy and low financing, and the improving labor market underpin a strong year of sales. Manufacturer incentives also help. Industry figures suggest there was an average $2,894 in incentives or discounts during the month. This is almost a 6% increase from a year ago. The consensus expects a 16.9 mln unit pace down slightly from the 17.03 mln pace in November. It would put the entire year sales around 16.4 mln, the strongest in a decade. This compares with 15.5 mln vehicle sales in 2013 and 14.4 mln in 2012. Strong sales are behind the strong production figures. The industry is integrated on a continental basis. Output in North America is projected to have risen by 7% in 2014 to a little more than 17.2 mln vehicles. To put this in perspective, consider that the peak was in 2000 at 17.3 mln vehicles. 4) Its bond yields were higher than fundamentally justified. Recall that the Bundesbank testified against OMT, even though it appeared to have Berlin's support. Although the ECJ opinion is non-binding, it is likely to be consistent with the final ruling. The facility has not been triggered. There is some thought that any conditions the ECJ cites may influence next steps of the ECB. On January 22, the ECB meets. It is the first meeting under the new regime of less frequent meetings, rotating voting scheme. Some record (minutes) of the meeting may be published for the first time 3-5 weeks after the meeting. It is possible that the ECB announces that it will increase the speed at which is will increase its balance sheet buy buying a broader range of assets, including sovereign bonds. If the ECB waits for its next meeting (March 5 in Cyprus), which at his December press conference Draghi hinted was a possibility, the peripheral bonds (and other so-called risk assets in Europe) could sell-off in disappointment. This will be especially true if this week's flash CPI for the euro zone shows its first negative print as the consensus expects. Given that the current programs, which include the TLTRO, ABS and covered bond purchases, are projected to increase the ECB's balance sheet by 400-500 bln euros, the sovereign bond buying program is likely to modest compared with the programs in the US, UK and Japan. A sovereign bond buying program of around 500-600 bln euros might be sufficient to reach the ECB's balance sheet goal. The modest size and limit could help secure support for such a plan. Also, allowing the national central banks to execute the purchases and to hold the assets on their respective balance sheets (as opposed to the ECB's balance sheet) may also make the scheme more acceptable. The Greek election will be held on January 25, three days after the ECB meeting. Polls currently suggest that no party will secure a majority. The party with a plurality, currently looking like Syriza, will be given the first chance to form a government. If it cannot do so in three days, the party with the second highest votes, now the New Democracy, would be given a chance. If it fails to secure a majority of votes in parliament, it will go to the third party and if it too fails there will be new elections, which is what happened in 2012. See our analysis of Greek politics here and why we expect Greece will remain in the monetary union. 3. Drop in energy prices: Oil prices have been more halved over the past six months, but a significant low remains elusive. Additional losses are likely. An unscientific survey indicates that many see 2/3-3/4 of the decline is being driven by supply considerations. A quarter to a third of the decline is a function of weak demand. Demand may take some time to improve. China, as we noted, is slowing. Large swathes of Europe are stagnant. Supply is also slow to respond. In addition, to the weekly inventory data, investors will be closely watching Baker-Hughes weekly rig count figures that are reported on Fridays. The most recent data covers the last full week of December. The oil rig count decline by 37 in the weekending December 26, leaving 1499 onshore oil rigs. This is the least since April. Over the latest three week period, 76 rigs have been taken out of production. These are the least productive rigs. Output remains high despite the rig count decline. The US produced 9.13 mln barrels a day in the week ending December 19, just off the modest record pace of 9.14 mln barrels the previous week. Saudi Arabia shows no sign that it will reconsider its decision not to cut output. The latest figures show Russia and Iraq may have increased production, which is the only way to preserve revenue in a falling price market. Other high cost producers, such as the UK and Canada are feeling the squeeze. Canada may fare better with the help of the US Senate (now in Republican hands) will likely approve the Keystone Pipeline. The US is also moving toward allowing greater exports of condensate (lightly processed), and could move toward lifting the ban on crude exports. The drop in energy prices will lower measures of headline inflation. The secondary impact could seep into core measures. At the same time, it will help boost the disposable income of many and help lift consumption. On the other hand, there are some regions, such as Texas and North Dakota that will be adversely impacted from the decline in energy prices. Investors will be watching these states weekly initial jobless claim figures and regional surveys, such as the Dallas Fed survey, which at the at of December was reported at 4.1, less than half of the consensus expectation. 4. 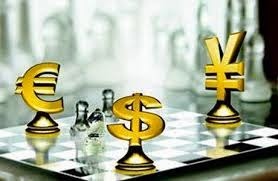 Currency wars and the lack thereof. We have long found the claims of currency wars to hyperbolic; often confusing an analogy with the real thing, juxtaposing means and ends, with limited explanatory ability, and even less predictive power. US officials have not objected to the dollar's strength or expressed much misgivings about the policy thrust of the euro area (Germany is a different matter) or Japan, and neither have other global financial officials. Although many observers talk about the race to the bottom, none have proclaimed victory for Russia, which saw a 46% decline in the rouble in 2014, or Argentina, which saw a 23% decline in the peso. Nor is it true that many emerging market countries are simply hell-bent on currency depreciation for mercantilist reasons. In a weak dollar environment, it is true that many countries seek to slow their currencies appreciation. Reserves tend to grow in weak dollar environment and central banks fill the void left by private sector investors. However, the dollar is strong now. Reserve growth typically slows in a strong dollar period. A number of countries seek to prevent or slow their currencies decline. This often requires the sales of dollars (and Treasuries, which the dollars are kept in, though it may also now include the sales of euros). Many emerging market countries, and especially their companies have taken on foreign currency debt. The decline of their currencies exposes a potentially destabilizing currency mismatch. Some countries may also seek to mitigate the inflationary implications of currency weakness. Turkey's announcement on Saturday is a case in point. It hiked the foreign exchange reserve requirement for Turkish banks. Effective the middle of next month, banks will have to hold 18% reserves on foreign exchange deposits of one year, up from 13%. On two-year deposits, banks have to hold 13% in reserve, up from 11%. The central bank projects this measure is worth about $3.2 bln. In order to induce longer-term deposits, the central bank cut the reserves required on deposits of three-years to 8% from 11%. Officials also made technical adjustments in their reserve-option facility (allows banks to use dollars to meet their local currency reserve requirements) that the central bank projects will free up $2.4 bln in the banking system. According to BIS data, at the end of Q3 14, Turkey's total foreign borrowing stood at near $400 bln, just below the record high reported for Q2. Just shy of two-thirds of the debt is from Turkish corporations, with local banks accounting for the remainder. We have highlighted the currency mismatch, especially among emerging market businesses as a vulnerability in the stronger dollar environment.